We have all tried to cut back on what we eat to loose a few LB's! Smart Ones from Weight Watchers are a great solution! They are great for on the go! The Raspberry Cheesecake Sundae is to DIE for, and for only 4 points its an easy choice! all of the Smart Ones meals, breakfasts, snacks and desserts are inspired by our 6 Smart Eating Principles. » 1. Portion control so you can eat the foods you love. » 2. Breakfast is crucial, because it starts your day right & helps control hunger. » 3. Smart eating includes a variety of foods with protein. » 4. Whole grains, fruit and vegetables can keep you fuller, longer. » 5. Smart desserts and snacks can help you stay on track. » 6. Support and knowledge are critical to making smart food choices. 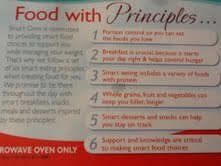 I like that the Principles can be found on every meal box! 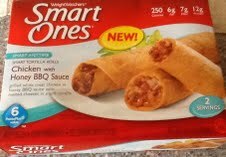 ~~~~~~~~~~~~~~~~~~~~~~~~~~~~~~~~~~~~~~~~~~~~I was please to be picked to review Smart Ones by Weight Watchers!The Kiddos and I got to Walmart and just could not decide where to start first! We finally decided on the one for the review and picked up a few Sundaes and Breakfast items! 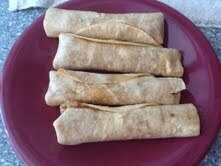 My kiddos and I tryed the Chicken with Honey BBQ Sauce wraps for the review! The package contained 4 wraps! I cut them into halves so we could all try them. You could taste the chicken and the BBQ sauce! at 6 points I will be eating these more often! The kiddos gave them stars based on taste and 2 of the 3 kiddos gave them 5 stars. Little Andy gave them 4 stars for the taste. He is my picky eater. I gave them 5 stars. Our meal was priced at $3 from Walmart. We will be picking up more Smart Ones on our next grocery trip! The kiddos and I liked the Sundaes and The Breakfast meals! Use this great coupon below to save on Smart Ones Meals! Just look at the other meal choices from Smart Ones! disclosure~ Content and/or other value provided by our partner, Smart Ones. I would also love to try the Ham and Cheese Scramble! Oh! I also want to try the Fettucini Alfredo! The Pancakes with Turkey Sausage look amazing! 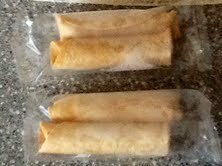 Chicken Ranchero Smart Mini Wraps! I want to try the cheese mini pizzas. I want to try the mini cheeseburgers. I want to try brownie a la mode. I want to try Cheesy Scramble with Hashbrowns. I want to try the chicken Carbonara. I would like to try the sesame chicken.